To be or not to be … | I'm hard of hearing, so what? To be or not to be … – I'm hard of hearing, so what? Are you familiar with this? When one is tired and everyone all around you is talking, and you hear a cacophony of voices and are unable to concentrate on one voice and then find yourself unable to understand anything? If you are hearing impaired, then you will most likely be answering yes to this question. The fact is, tiredness is often a part of being hearing impaired because we spend the entire day “listening” with all of our senses. This means that we use not only our ears, but also our eyes, and the rest of our body to compensate for the lack of our hearing. And that works. 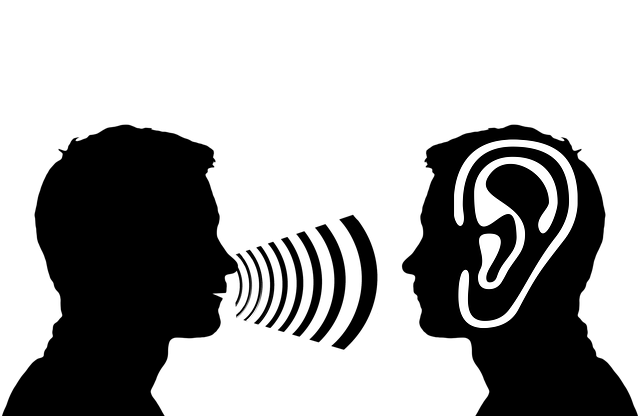 If one notices our hearing impairment because of a miscommunication, then that means that we, in the other times our hearing loss was not noticed, successfully hid it. That sounds good, doesn’t it? In the last year I have taken a couple of courses in Communications. All participants and the instructor were hearing impaired. It rapidly became clear to me that most of the miscommunications that occur in conversation are not solely our fault. Yes, read this sentence one more time. Many misunderstandings in communications occur even in those who hear normally. People often talk at each other or assume that the other party understood “what I meant”. Please do not believe that “the hearing impaired are imagining this because they do not want to focus on themselves”. Without going into depth on what the course was about, I can tell you with a clear conscience that we, the hearing impaired, are forced to pay attention more to our communications than those who hear normally. This is why we are probably the better experts at communications. There are many different types of hearing loss and consequently many different interpretations. In this way, you could be hard of hearing, deaf, Deaf, or be a CI user (CI = Cochlear Implant) and so on. For me personally, such a label or interpretation means nothing. I do not hear well, period. For other hearing impaired people, this is of course different and has more to do with a sense of belonging. Its all right by me, everyone has the right to find their own way through life. However, I do not view myself as “hearing disabled”. Yes, I am limited in my hearing, but the use of the word “disability” makes me feel helpless, which I am not. I know that this topic is a sensitive one and therefore I will approach the question “to be or not to be” diplomatically. Lets just say: “To be or not to be, that is the question”. A question in my honest opinion that everyone should answer for themselves. I’ve always felt that we hard of hearing people are better at listening than most.